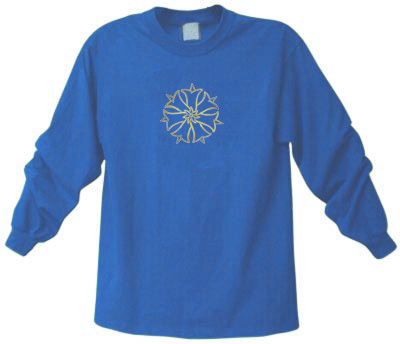 Lily Star Long Sleeved TShirt Discounts Apply ! The circle of lilies represents purity and innocence. The star woven within the lilies is a symbol for the song of creation throughout seven levels of understanding.